All Green Card Lottery winners must provide a petitioner (Sponsor) and the person’s address in the I-134 form. 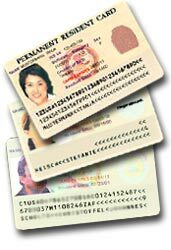 A sponsor is a necessary requirement for the Green Card Lottery winner and his/her dependants, according to the Green Card lottery instruction. This is to prevent the Green Card lottery winner from becoming a financial burden on the U.S. public welfare system. The Sponsor/Petitioner must be an American citizen or a LPR (lawful permanent resident). The sponsor must have enough income to prove that he/she can sign the affidavit of support form on behalf of the Green Card Lottery winner. The sponsor must sign the affidavit of support form and must be sworn in front of authorized officials as described in the advice. The petitioner must have enough income or financial resources in the United States of America. There is no filling fee for this form. Duly filled and signed affidavit of support form must be provided by the Green Card Lottery winner to the Consulate officer on the day of his/her interview. A separate affidavit must be filed by the sponsor for each person that he/she is sponsoring. The I-134 form that is available with instruction on the U.S. Department of State’s web site, shall be used for this purpose by the sponsor. If the sponsor is in the United States, the affidavit may be sworn to or affirmed before an immigration officer (see any USCIS District or sub-office) or before a notary public or other official authorized to administer oaths for general purposes. If the sponsor is outside the United States, the affidavit must be sworn to or affirmed before a U.S. consular or immigration officer. Failure to meet this Sponsorship requirement may result in the refusal of the green card lottery winner’s visa. If you don’t have a sponsor then you must proof to the interviewing consular officer that you have enough funds to take with you to the U.S.A. The consular officer will decide whether you can be issued the visa or not, after reviewing your financial report which you must provide on the day of the interview. The consular officer’s decision will be final. Enter the USA DV2018 Green Card Lottery. 55,000 Green Cards Must Go Each Year. Take the Green Card Lottery test to see if you qualify. If you do, apply for the DV2018 Green Card Lottery here on the Official USA Diversity Lottery web site.